The hidden story behind the shaping (and mis-shaping) of twentieth-century New York, and makes public what few have known: that Robert Moses was, for almost half a century, the single most powerful man of our time in New York. He was the shaper not only of the city's politics but of its physical structure, as well as the problems of urban decline that plague us today. 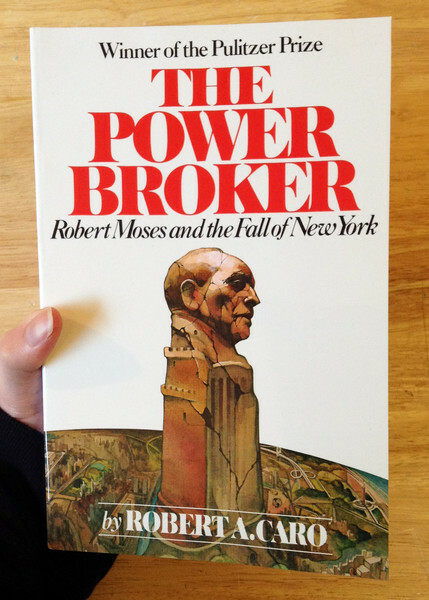 Robert Caro *hates* Moses with a vengeance (and is still regularly in the news talking about him) but reading this book will actually give you a far more balanced and nuanced view of the motivations and thinking of an era where huge parks and public works became the norm—for good in many cases and for ill in many others. To balance out this book's massive diatribes, cleanse your palate, and read about solutions rather than just condemning problems, we recommend checking out Jane Jacobs's classic Death and Life of Great American Cities, in which she balances choice critiques of Moses's tactics and plans, but also sings the praises of forms of human community infrastructure and culture that do function extremely well and that we can all build ourselves. Log in to get emails when Robert A. Caro has something new.